For the seventh time, the Institute of European Regions (IRE) is organising an International Expert Conference which is devoted to the topic of “Smart Cities – Challenges and solutions for future urban mobility in European Cities”. Venue is the Salzburg Congress in Salzburg, Austria. 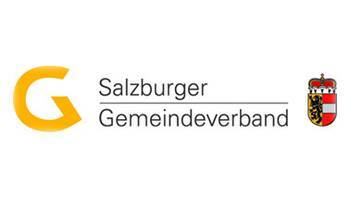 Der Salzburger Gemeindeverband (Salzburg Association of Municipalities) has been representing the interests of its 118 member communities since 1947. Their central concern is the representation of the interests of the Salzburg municipalities vis-à-vis the state and the federal government, especially in financial matters. Local self-government can only really exist and fulfill its tasks if it is financially secure. 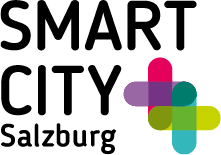 Smart City Salzburg - Smart living in Salzburg. Quality of life living, intelligently networked, renewably supplied, sustainably mobile, consensually developed: These are the declared goals that have to be attained – innovatively, courageously and above all together. Across all political, official and departmental boundaries, teh city is determined to make it happen. The Salzbur City Master Plan‘s vis der Stadt Salzburg enthält als Zukunftsversion wesentliche Herausforderungen, die Salzburgs hohe Qualitäten als Wohn-, Arbeits- und Urlaubsstadt bewahren helfen. Kapsch TrafficCom, a Kapsch Group company, is a provider of intelligent transportation systems in the fields of tolling, traffic management, smart urban mobility, traffic safety and security and connected vehicles. As a one-stop solutions provider, Kapsch TrafficCom offers end-to-end solutions covering the entire value creation chain of its customers, from components and design to the implementation and operationof systems. The mobility solutions supplied by Kapsch TrafficCom help make road traffic safer and more reliable, efficient, and comfortable in urban areas and on highways alike while helping to reduce pollution. Europe Direct is the information network of the European Commission for all EU citizens. 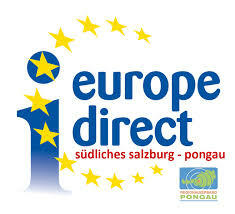 There are now more than 500 such Europe Direct information centers in the 28 EU Member States, 12 of them in Austria. They provide answers to all questions about the EU. The Salzburg Institute for Spatial Planning and Housing has been a proven and reliable institution since 1972. Until 1992, the SIR was mainly concerned with the exploration of spatially significant foundations for the province of Salzburg. In 1992, the SIR was reorganized and has since been dedicated to the areas of housing advice and housing research, village and urban development, energy issues and sustainability. The area of activity extends to the entire federal territory, in EU projects also to other EU member states. 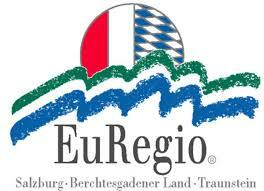 The EuRegio Salzburg – Berchtesgadener Land – Traunstein is an EuRegio merger founded in 1995 whose core areas are the Austrian province of Salzburg and the two Bavarian districts of Berchtesgadener Land and Traunstein. The seat of the merger at the municipal level is Freilassing. The goal is, in addition to cultural and economic cooperation, including the promotion of tourism, education, youth and sports. Highest quality, international expertise, individual consultancy and a lean structure: at Benn-Ibler Rechtsanwälte we provide convincing and efficient solutions to complex challenges. This benefits companies from a wide range of sectors, including the production industry, service providers, banks, financial institutions, project operators and financial investors.